Broadridge Financial Solutions has integrated SWIFT global payments innovation for its corporate clients and is currently on-boarding users. The global fintech leader and member of the S&P 500 index has introduced the solution to enhance the speed, transparency and end-to-end tracking of cross border payments. Broadridge provides investor communications and technology solutions to banks, broker-dealers, asset managers and corporate issuers globally through its cloud based platfrom FinMApp. Broadridge clients can now access SWIFT’s global payment innovation technology through FinMApp, which delivers transaction monitoring, management, translation and reporting on international payments to over 100 organisations. The move comes a year ahead of the 2020 deadline set by SWIFT to transfer all cross-border payments onto its gpi platform and follows a successful pilot which focused on streamlining payments. 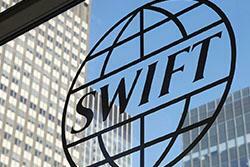 Broadridge’s data control businsess’ general manager Alastair McGill said that SWIFT had dramatically improved its technology since launching and played a significant role in alleviating friction. “We can now help firms increase operational efficiency and reduce risk by offering gpi through FinMApp, helping all SWIFT members get ahead of today’s challenges to capitalize on what’s next,” he said. Executive director of SWIFT services, Broadridge Andreas Gunther said that the integration would increase visibility and help clients manage risk. “By adding gpi information to FinMApp, Broadridge clients receive greater visibility into their payments through increased tracking capabilities and can manage risk more efficiently through the payment life cycle,” he said.